Preheat oven to 375°F (190°C). Lightly butter your muffin tin(s) or line with paper cups. In one bowl, combine flour, baking soda, and salt. 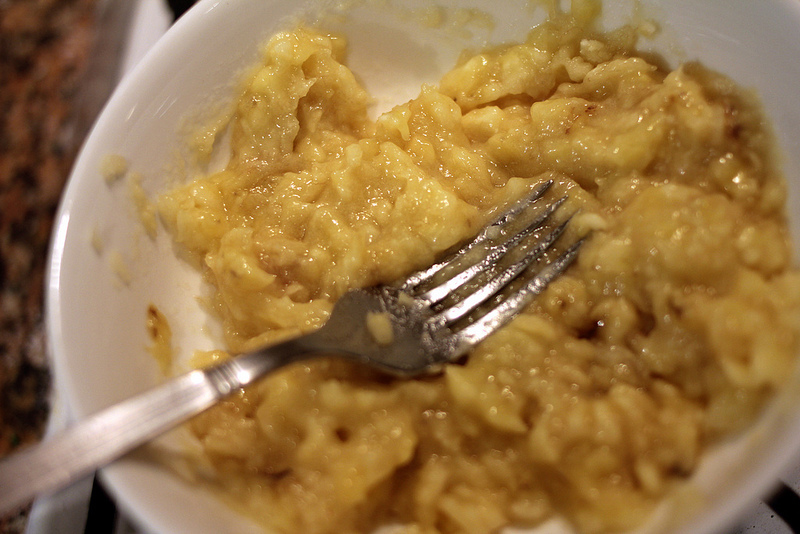 In a second, smaller bowl, mash two of the bananas with a fork until mushy, but still lumpy. Set both bowls aside. 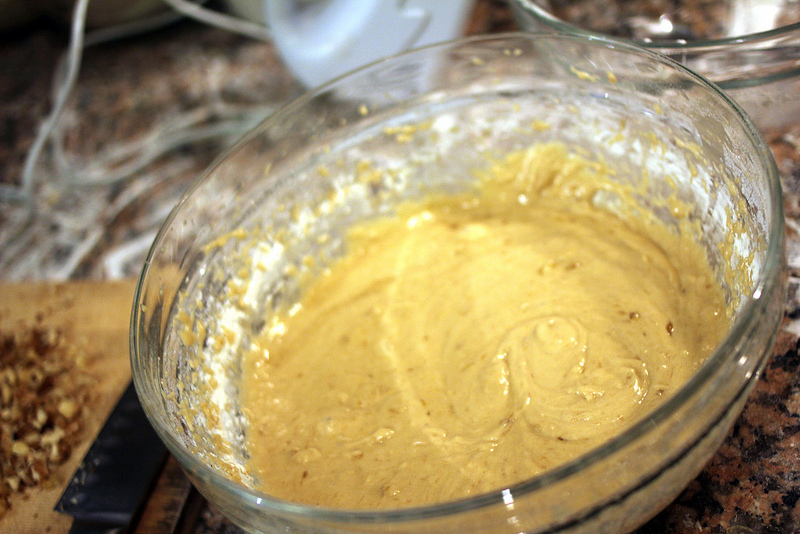 In a third bowl, combine the remaining bananas and sugar, then whip with an electric mixer for about 3 minutes.3 Add the melted butter, eggs, and vanilla, then continue to beat until reasonably smooth. Dump in the dry ingredients and mix until blended. Gently fold in the nuts, hand-mashed banana,4 and chocolate chips. 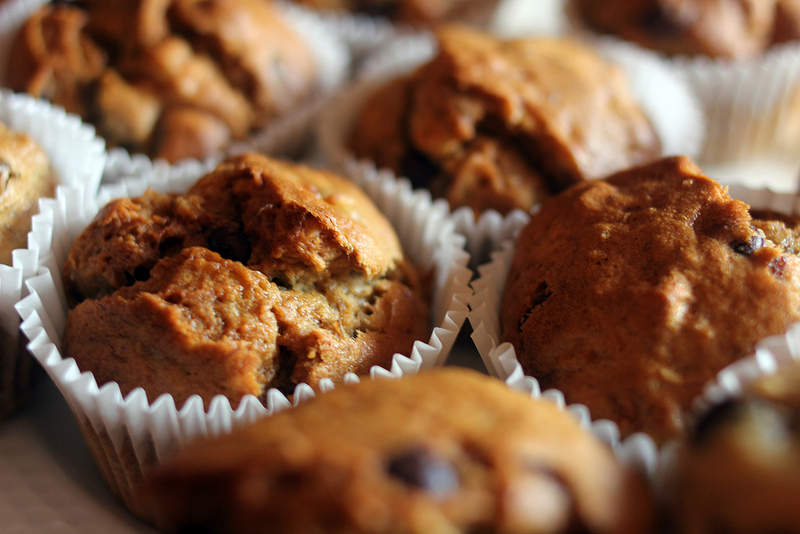 Fill each muffin tin about two-thirds of the way with batter. The original recipe suggests rapping the filled muffin tin on your counter to eliminate air pockets. Do it if you think it’ll be fun. Shove your future muffins into the oven and bake for 18-20 minutes, until a toothpick5 comes out clean. They will be very moist on the inside and light to medium golden brown on the tops. Don’t forget to sprinkle sugar crystals across the top! Apparently you’re supposed to let these cool for a few minutes, but sometimes molten chocolate is worth roof-of-the-mouth burns. You decide. 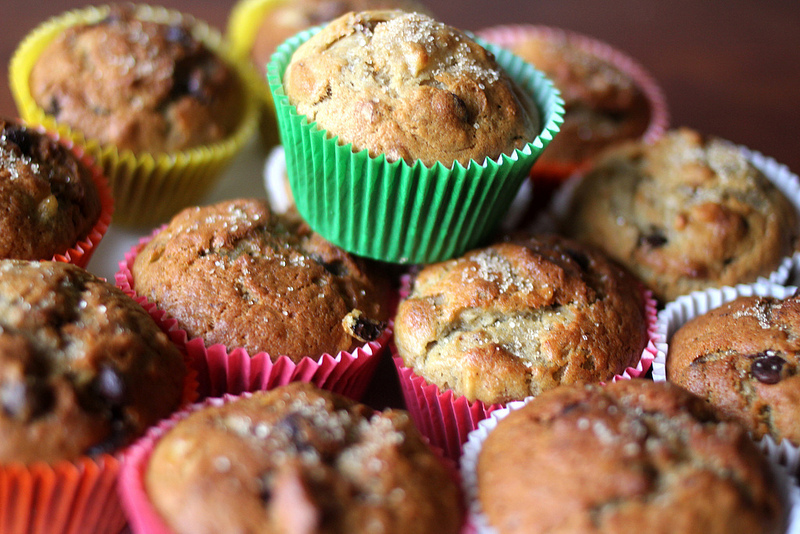 Makes 18 small muffins or 12 large ones, which will take you approximately four minutes to devour. I am limited to imagining the taste of this one. 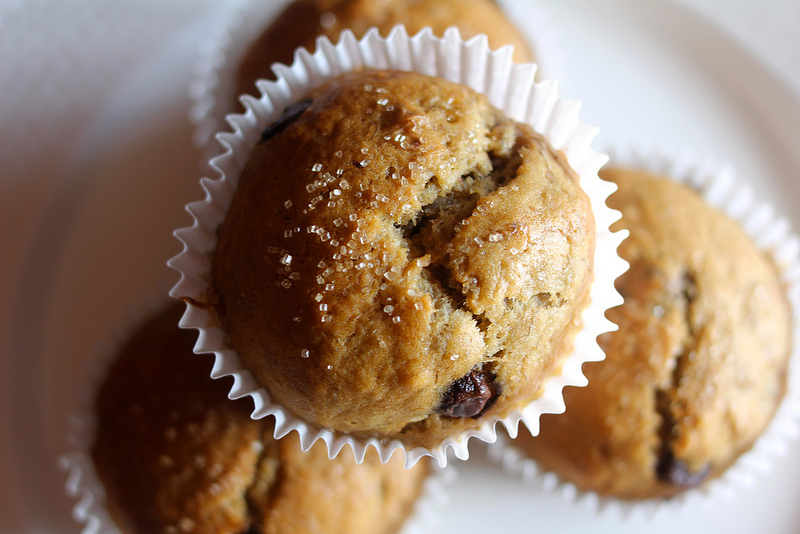 Well, you could always make a modified version: banana chocolate chip muffins! They won’t be exactly the same, obviously, but I’m sure they’re still very good. Just don’t leave out the chocolate chips! 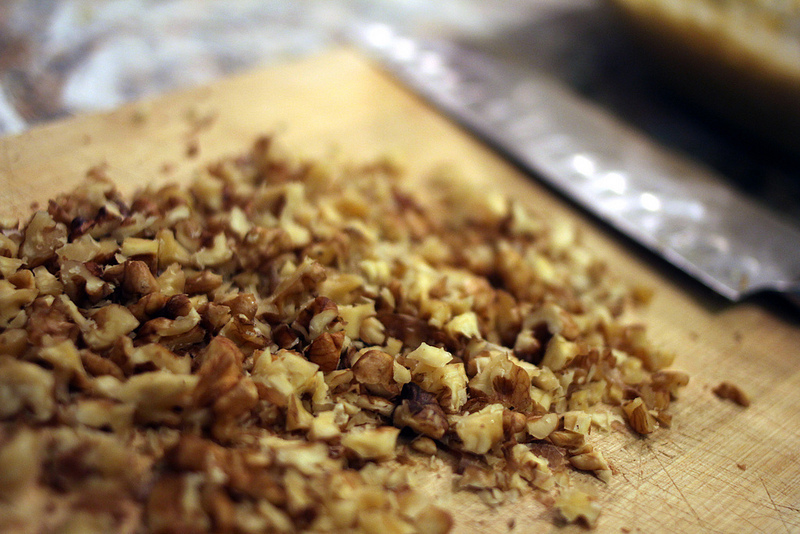 Another option is substituting crushed, roasted peanuts for the walnuts. I haven’t tried it, but I think it would be delicious.